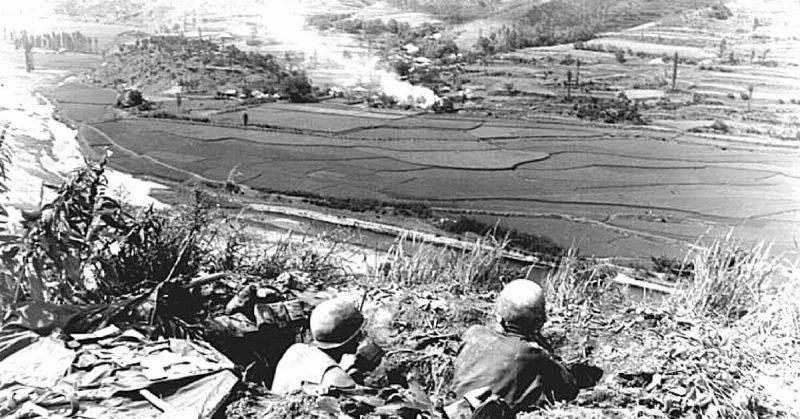 The Battle of Busan Perimeter took place in the fall of 1950 and was one of the first major conflicts of the Korean War. During the battle, the North Koreans managed to drive back the United Nations forces to the Busan Perimeter. The Busan Perimeter is a 140-mile stretch of land on the Korean Peninsula that is also home to Busan, a port. The North Koreans attacked troops stationed there for six entire weeks, while also striking in other locations. Regardless, the United Nations troops stood firm and managed to outlast the multiple attacks. 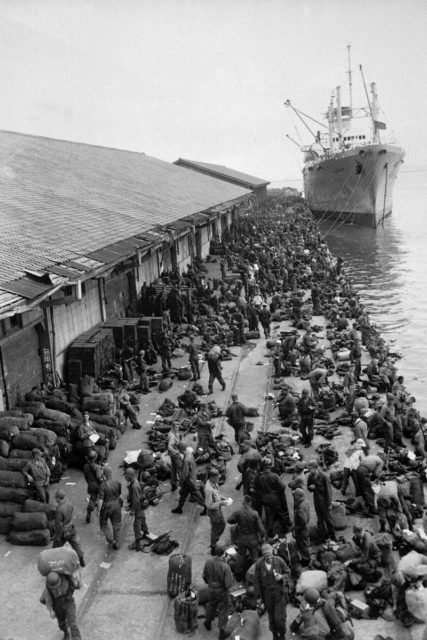 It was very helpful the United Nations had access to the port of Busan, which enabled them to ship in extra manpower, equipment and more. The Battle of Busan Perimeter was the furthest South the North Koreans would make it during the war. 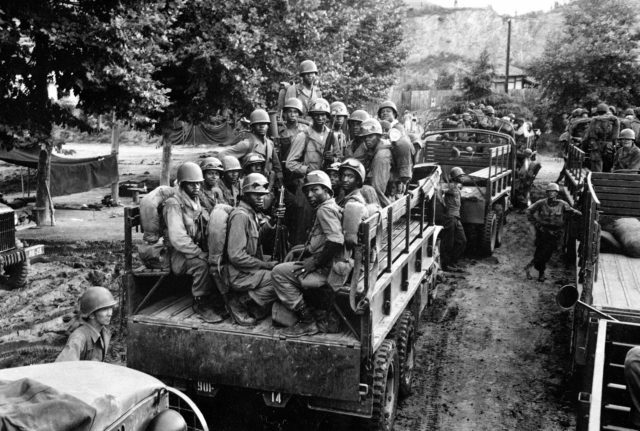 United Nations troops arriving in South Korea. The Battle of Busan Perimeter took place shortly after the start of the Korean War. The Korean War began when North Korea invaded South Korea, and the United Nations felt it would be best to send troops in to help. The United States additionally sent extra troops. The goal was to prevent the invasion by North Korea, while also helping the South Koreans to defend themselves and succeed economically and diplomatically. The United Nations forces began to create a perimeter around Busan through the summer of 1950. It was about 140 miles long and went from the Korean Straight to the Sea of Japan and around Busan. It also touched on a few other cities. The terrain around the perimeter was very rocky, mountainous and difficult to traverse. The United Nations forces were using these mountains and valleys as natural defenses. It was very hard, though, for any of the troops to cross it. The area also gave soldiers little access to clean water and was also very jungle-heavy. This was not only a bad thing for the enemy, but also for the United Nations troops. They also suffered casualties related to the vegetation, lack of pure water and the high heat. The North Korean forces were arranged into ten divisions, most having appropriate training and with hundreds of T-34 tanks. However, when they incurred losses, the North Koreans would provide inferior replacements for their men and weaponry. The United Nations forces were under the command of the United States military. The United Nations had superior air and sea power throughout the conflict, both being led by the United States Navy and Air Force. 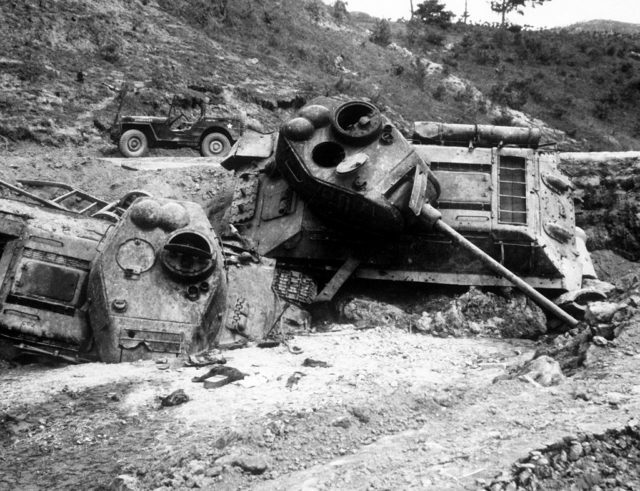 North Korean T-34 tanks destroyed by U.S. bombing. 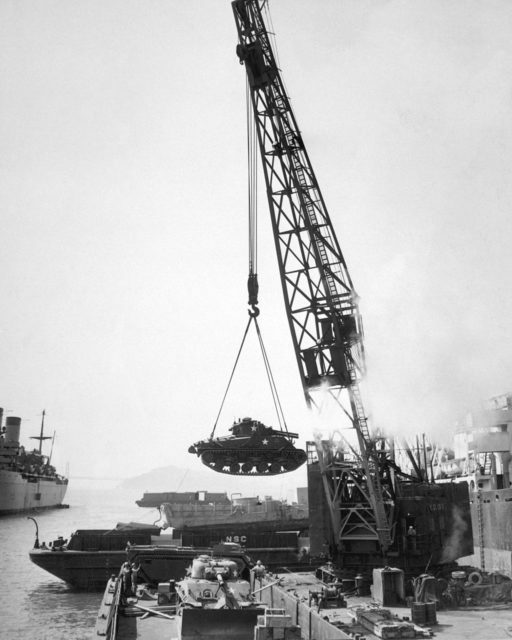 An M4 Sherman tank being loaded into a barge at the port of Oakland, California, prior to shipment to Busan, 1950. In August 1950, the United Nations forces began to withdraw from the perimeter leaving behind defensive positions. This would enable them to regroup and come back to fight later. Also, it would provide the necessary manpower to keep the North Koreans at bay. They feared that any further retreat would be detrimental to the United Nations forces. They also wanted to be sure they could keep control of Busan Port, so they could continue to receive supplies and more manpower. North Korea attacked the perimeter trying to make their way into Busan. They attacked in four different places: the south through two routes, the north and the east. The United Nations troops began to plan a counter-offensive move, and it would be their first in the war. They encountered 500 North Korean infantry and defeated them, then overran the North Korean 6th Division headquarters. However, after this, their good luck slowed. Fierce fighting lasted for three days near Chindong-ni, and United Nations troops were redeployed as needed. When one infantry division was rerouted several days later, the difficult terrain became a serious problem. American forces stuck in the mud were attacked by the North Koreans, who were hiding out at a higher elevation, perfect for a surprise assault. The attack quickly took out almost two battalions and their corresponding equipment. The Americans, although receiving back up, could not regain the ground. However, after many similar encounters, the North Korean army was highly reduced. They had lost much of their food, weaponry, soldiers and more. By this time, the United Nations had amassed more troops in the area than the North Koreans. The North Korean disadvantage was growing more apparent by the day. They had fewer than 100 tanks, while the U.S. troops alone had more than 600. In light of this, the North Koreans decided that flanking the forces was a waste of time, thanks to the U.S. Navy superiority. They choose to go with a frontal attack. They knew, thanks to Soviet Union help, the United Nations forces were building on the perimeter in Busan. They wanted to take one last shot at capturing the area, at the risk of losing it for good. To plan ahead for the offensive attack, the North Koreans added four new troop divisions. A five-pronged attack was scheduled for August 31 and September 2. The attacks greatly surprised the United Nations forces. They were busy building in Busan, believing they had successfully taken care of North Korean troops in the area. The North Koreans broke through the first lines and pushed the United Nations troops back. Fierce fighting followed. However, United Nations troops rallied and forced back the North Koreans by September 15, with the fight ending around Busan a few days later. During the Busan conflicts, two war correspondents were killed. Also 40,000 South Koreans; more than 4,000 Americans; 5 British; 1 Indian; and more than 60,000 North Koreans. Both sides committed war crimes. The North Koreans were accused of severely torturing captured United Nations soldiers. United Nations troops (mainly South Koreans) were accused of killing captured North Koreans.